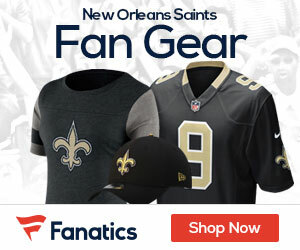 The Times-Picayune reports that when it comes to the local fan base – the Saints are tops among all NFL teams. Street and Smith’s Sports Business Daily published a story today on the New Orleans Saints topping all NFL clubs (and all U.S. sports teams) in terms of local market fan penetration, according to data from Scarborough Sports Marketing. According to Scarborough’s numbers, New Orleans had the highest percentage (87 percent) of any home market where adult fans said they had watched a game on TV, listened to a game on the radio or attended at least one game during the past year. The Green Bay Packers are No. 2 at 84 percent.